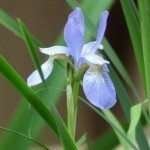 I live in Alberta, approx Zone 3 growing conditions, and wondered if Siberian iris plants should be trimmed back for overwintering. I know the other types of iris are often trimmed back to approx 3 inch in height, but wondered if same applied to Siberian iris. Thanks! 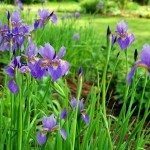 Yes, Siberian iris foliage should be trimmed back for the winter, but only after the foliage has turned brown. Then trim back to about 2 inches in height.